You are here: Home / Freelancing / What are the Keys to Success as A Freelance Developer? What are the Keys to Success as A Freelance Developer? Here are 7 of the most common personality traits an individual freelancer and developer must have to be able to succeed online. Working as a freelancer and from the comfort of your home can mean you are doing things without anyone above you (a manager or a boss). It is the best part of being a freelancer but it is really important for an individual freelancer to remained disciplined and motivated. So here are some of the key quality and personality traits that a freelancer has to have to be a success especially the developer freelancers. As a freelancer, you work directly with clients. Often clients aren’t technically very sound to be able to judge the quality of work. In such a scenario, one may be tempted to get things done faster rather than with quality. This is where the attitude comes in picture. Work for a client as you may work for yourself and try to deliver the highest quality of work you can possibly can at that point in time. If you don’t have such an attitude, it may not take you a long way. I have hired so many freelancers to outsource and often it is the quality of the work that hasn’t been at par for me to continue working with them. They are more focused on delivering the deliverables. I always focus on delivering my best deliverables to each of my clients. If you don’t have that attitude, you are mainly driven by money to be a freelancer which isn’t the right path any freelancer should be walking. 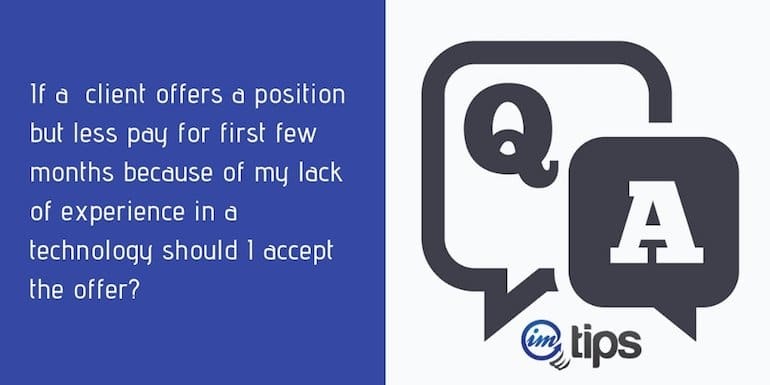 Recently I answered the question to one of my blog reader about should one accept an Offer if he is paid less but get an exposure and my answer to such a question will always be yes because for me freelancing is more about being able to learn something new all the time than the money I am being paid for my skills. Yes, I agree at some point of time in life, you may have to work only for money and there is no denying about it. It is life and if the demand is extra cash, go get it. The point I am trying to make is, you shouldn’t be driven by money only. So make sure you aren’t taking everything that is being thrown at you. You have to pick and choose wisely. One can’t expect to grab opportunities linearly and have an exponential growth. You have to be very lucky enough to get good opportunities early in your career but I think the best ones will come very late. So if you are too occupied when better opportunity knocks at you, you won’t be able to grab it. Have some bandwidth for the next opportunity but don’t take up anything that may sound “just good”. Wait for the best that aligns with your overall long-term goal. I know it is very tough to say NO and though I have learned the hard way of saying it definitely needs learning as early as possible. A failure or at least a few setbacks in the first few months of being a freelancer is the key to bigger success in the future. It helps overall development as a freelancer. You will know what works and what doesn’t. Who are with you and who isn’t. Be prepared for a failure and don’t be too much bothered about it. Give your best shot and either it will work or it will be a learning experience. Early failure is the key to long-term success and if you aren’t failing early, chances are you will have failures at a later stage when stakes will be high. Freelancing is a long-term game and I think every freelancer should be in it for the long term. If he expects an overnight success, it may prove fatal. I once told about my colleagues about how I was able to charge $2900 to one of my clients for a task. Everyone was fascinated about the amount and no one looked at the journey. There is so much of work involved in getting to a point where I can make that kind of money from one single client now. If you only focus on how I am doing today, you will see things from a different perspective than you should be. There were clients where I was even paid much less per hour when I started. Rome was never built in a day. So are careers. It will need the experience, the expertise and the exposure which only comes with time. There is no substitute of time. Once you are freelancing for the long term, you will focus more on being more healthy to be able to work for years. More often an individual freelancer is trading time for money. The more time one can work, the more money he can make. If you work for 16 hours daily, the chances of being able to work for an elongated period of time diminishes considerably. Hardly an individual can do it for a couple of years to a maximum of 5 years before feeling the pain: physically and more so mentally. Now consider only working for 8 hours a day and on some days extending it to 10 hours as and when needed. One can continue working for at least 15 years, if not more. So you prefer working 16 hours for a maximum of 5 years or 8 hours for at least 15 years? Less is more and often it means you have a free mind to look for even better opportunities. 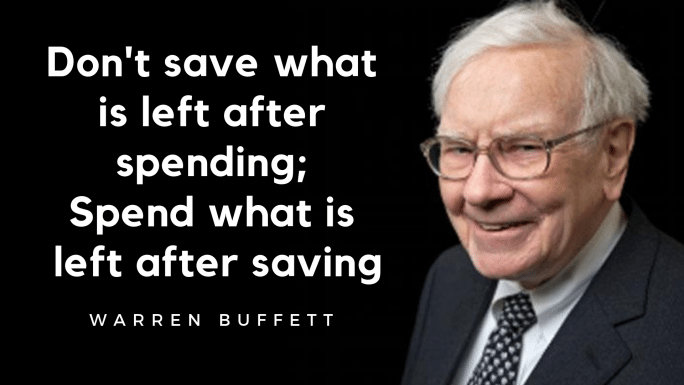 A famous Warren Buffet Quote is what every freelancer should live by. As a freelancer, print the quote and stick at a place where you can see it daily. You can even download the below image and use it as a Wallpaper. (Click the image to open the full version image and then save it for wallpaper). Time can change very fast. 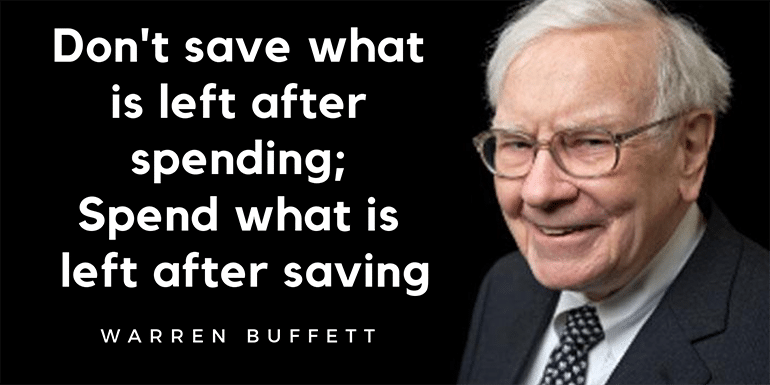 So always try to achieve financial freedom as a freelancer. Check out how freelance developers can manage finances. One more point I will add to be able to control finances is – Don’t be a gadget freak. It helps in controlling the finances. There are so many gadgets that no one can buy each of them. I had purchased my iPhone in November 2014 and Facebook notified me about it recently. I remembered it as bent. It bent within the first month of use. I still continue to use it though I can afford a new one. Gadgets are for your use and not for a show off on social media and with your friends. There is no limit to how much one can show off. Make sure the decision to buy them is based on need. I recently changed my MacBook to MacAir but it is not because I wanted a new Mac but because I needed one. As a developer, you may be technically very sound but for a successful freelancing career, you will need more than just technical expertise. Here are some of the key non-technical skills one must have as a freelancer. As a freelancer, one has to wear many hats and trying to learn them to a certain level can help shape your freelancing career. Should I accept an Offer if I’m Paid less But Get Industry Exposure?